Lead scoring is the process of assigning point values to your leads based on their fit and engagement in order to rank each lead according to their likelihood of making a purchase. Based on these point values, you can then personalize each lead’s experience based on their implied level of sales readiness. Is lead scoring right me? Does my marketing automation software have a built-in lead scoring tool? Lead scoring is a cumbersome process only made possible when it is built into your marketing automation software. All the major platforms have it, including HubSpot, Marketo, Eloqua, and Pardot. Do I have enough data on my customers to start making decisions? Guesswork should not be part of your lead scoring strategy. You want to make data-backed decisions. Having at least one year’s worth of web analytics will get you started. You must also be actively collecting and recording lead data in your marketing automation software or CRM, including demographic information and online behavior. If you’re not, you need to get these data collection processes in place before thinking about lead scoring. Is my sales team getting enough leads? If your sales reps are hungry for leads as it is, reducing the amount you hand over may starve them to death. If this is the case, you may want to focus on top of the funnel activities first to increase the amount of leads you’re bringing into the organization before implementing a lead scoring process. You’ve asked yourself the three questions above and have determined lead scoring is right for you. You’re eager to get started but there are a few things you should know first. In order to design the most accurate lead scoring model, your definition of a qualified lead should include both fit and engagement. Not everyone is going to be your customer. If you sell enterprise accounting software, for example, a web developer isn’t your ideal customer. Neither is an accountant for a small business. This is what is meant by fit. A lead’s fit is determined by scoring explicit information provided by the lead himself. Explicit information includes geographic location, industry, company size, revenue, department, and job title. A lead’s engagement will tell you how ready they are to begin a conversation with sales. This is determined by scoring implicit information by monitoring your prospects’ online behavior; such as, webpage visits, form submissions, whitepaper downloads, and demo requests. If your organization has more than one product offering, you may find there are subtle but meaningful differences in the fit and engagement for each product. If this is the case, it is recommended that you design a unique lead scoring model for each of your products. This means a given lead would have multiple scores. Your sales reps are a valuable resource in this process and their input must be considered. Meet with them to come up with an outline of what makes a lead sales-ready. Fit will be the most important thing to look at during this stage but engagement should still be part of the conversation. 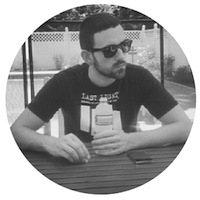 What job titles have the purchasing power to buy our product? What industries do we serve? Of the industries we serve, are there any that are a better fit than others? What is the importance of company size? What behaviors, like requesting a demo or visiting a pricing page, indicate someone is ready to buy? You’ll want to back up every answer with data so make sure to have demographics reports handy to crunch numbers on the fly. From this conversation, start creating a list of positive indicators of sales-readiness. After your conversation with sales, it’s time to open up your social, marketing, and web analytics. The customer journey your leads go through is unique to your business. You’ll need to find patterns in your data to discover what engagements indicate sales-readiness. Attribution reports in Google Analytics will be your best friend at this step. For your set of closed customers, what are the most common first touch points? What are the most common last touch points before making a purchase? How many forms did they fill out? What pieces of content did they download? How many pages did they visit? What pages did they visit? How many emails did they open? How many emails did they click? Not everything is going to be significant so analyze carefully. Add any common behaviors shared by your customers that indicate a level of sales readiness to your running list from step 1. Create a new section to your list for negative attributes and add what you’ve found. Now that you have your list of positive and negative attributes, it is time to apply scores to them all. Bring sales back for this step so there is consensus between the two departments. Positive attributes get a positive score and negative attributes get a negative score. Set your scores up so that your perfectly ideal customer would get a score of 100. You want your lead scoring process to factor in when a lead has gone cold by introducing score decay. 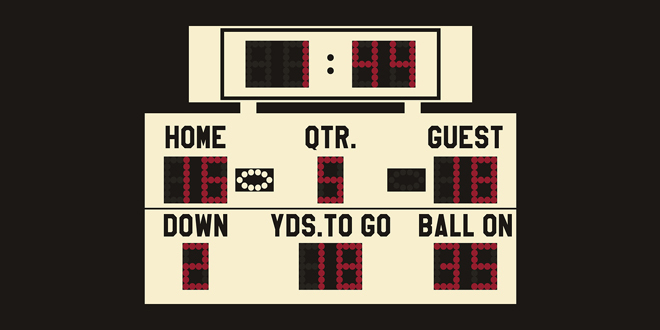 Score decay is a recurring reduction in a lead’s total score when there has been no activity. For example, after 6 months of inactivity, you might reduce a lead’s total score by 5 points every 2 weeks they remain inactive. Before going live with your lead scoring process, you want to test it against a sample of existing leads. Pull your sample and apply your scoring criteria manually to ensure everything behaves as intended. After any necessary tweaks are made in response to your test, it is time to go live. Go ahead and turn it on. Here’s an example of what a lead scoring process might look like. Remember, your customer journey is unique to your business so you’re not going to want to copy this line for line. The customer journey should vary based on these scores. With sales, decide what actions must be taken at different scoring thresholds. Leads with low scores should be won over with high-value content that doesn’t mention your product at all. They aren’t ready to hear your sales pitch; you haven’t yet earned the right. Leads with medium scores should continue to be nurtured but it is ok to start introducing product-centric type messaging. Leads with high scores should be passed to sales. It’s up to you to define what is considered low, medium, and high scores. The best place to start is by defining your high score range by deciding the number of leads your sales team is capable of handling and finding what range of scores equals the desired volume. You can always adjust your definitions later. Don’t be afraid to include a fast track to sales for particularly hot leads. For example, say you’ve decided to only pass leads with scores greater than 75 to sales. You may find a lead who goes from 0 to 60 in only a few days should be fast tracked to sales for followup, despite being lower than your defined high score. 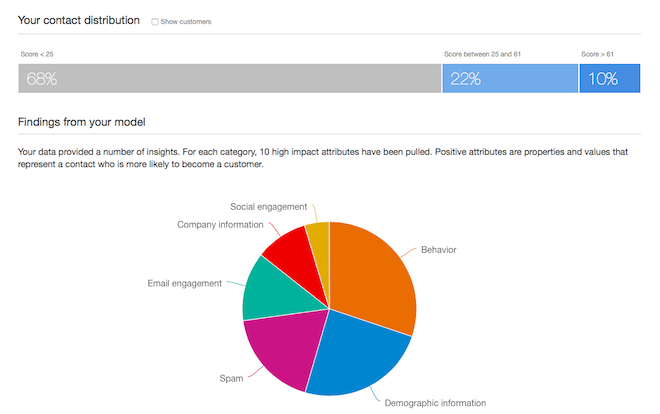 What about Predictive Lead Scoring? Predictive analytics is the next generation of lead scoring and takes all the manual work out of qualifying leads. Predictive lead scoring works similarly to traditional lead scoring except the process is completely automated using an algorithm to identify patterns in your data. Which is better? They both have their pros and cons and work best in tandem with one another. If you’re interested in getting started with predictive lead scoring, Infer offers one of the most complete platforms available. 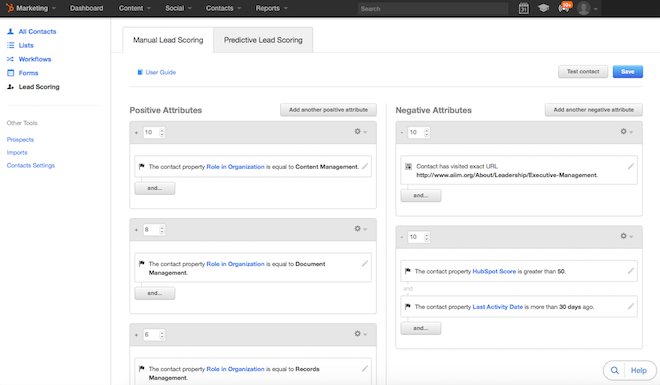 Predictive lead scoring is also available in HubSpot’s Enterprise Plan. Lead scoring is one of the most effective ways to increase your conversion rates. It allows you to deliver more timely marketing messages based on sales readiness for a highly relevant and personalized customer experience. Your sales team will be see new levels of efficiency and effectiveness by focusing only on the hottest leads. Have you implemented lead scoring? Tell your story in the comments.